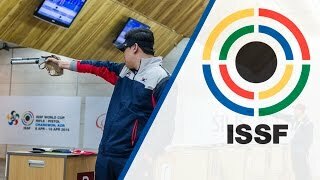 Day-3 of the ISSF Rifle and Pistol World Cup in Changwon (KOR) continued today with the 10m Air Pistol Men final, which turned into success for the host nation, the Republic of Korea. 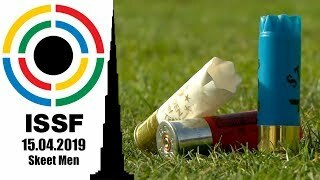 The home hero, probably the best pistol shooter of the world, the 2012 Olympic and 2014 World Champion Jin Jongoh (35), triumphed on his home turf, as he won the 10m Air Pistol Men Gold medal establishing a new final world record of 206.0 points. Jin started-off the medal match with two strong series, moving atop of the scoreboard since the first shots, and closed the match in first with five points of advantage on today's Silver medallist Naung Ye Tun of Myanmar. 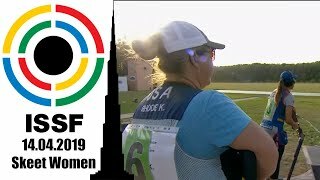 With 206.0 points, the Korean champion turned out to be unbeatable, and shuttered the previous final world record of 202.8 points, set by Vietnam's Hoang Vinh Xuan at the 2014 ISSF Wolrd Cup in Fort Benning (USA). Jin had already secured a Rio 2016 Olympic Quota Place, a ticket to his fourth Games, at the 2014 ISSF World Championship in Granada. In Rio De Janeiro, he will have a chance to become the most titled Olympic shooter of the history. Jin already ranks atop of the table, with 5 medals won since Athens 2004 (3 Golds, 2 Silvers), but he's currently tied to Germany's Ralph Schumann, who retired after London 2012. Naung Ye Tun of Myanmar (31) - participating in his first international final today - scored 201.0 points to claim today's Silver medal and a Rio 2016 Olympic Quota Place. The Bronze medallist, India's Jitu Rai (27), scored 181.1 points. 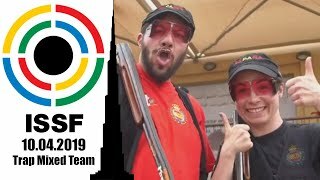 Dimitrije Grgic (30) from Serbia took the fourth place with 159.2 points, pocketing the third available Quota Place, while Vietnam's Hoang Vinh Xuan (40) - who had won Bronze at yesterday's 50m Pistol Men final – finished in fifth with 138.0 points. 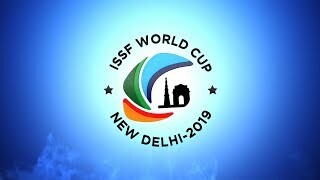 Russia's 27-year old Leonid Ekimov, ranked 21st in the world in this event, followed them closing the match in sixth with 118.4 points, and collecting the third available Rio 2016 qualification slot. He preceded London 2012's Silver medallist Luca Tesconi of Italy (33), seventh with 98.6 points. 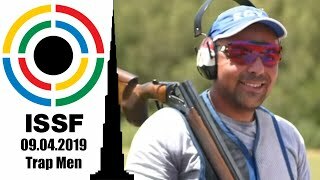 The 2014 World Championship Silver medallist Yusuf Dikec (42) did not shoot at his best today. After the first eighth shots, he recorded the lowest score among the finalists (77.4 points) and was the first to be eliminated, placing in eighth.